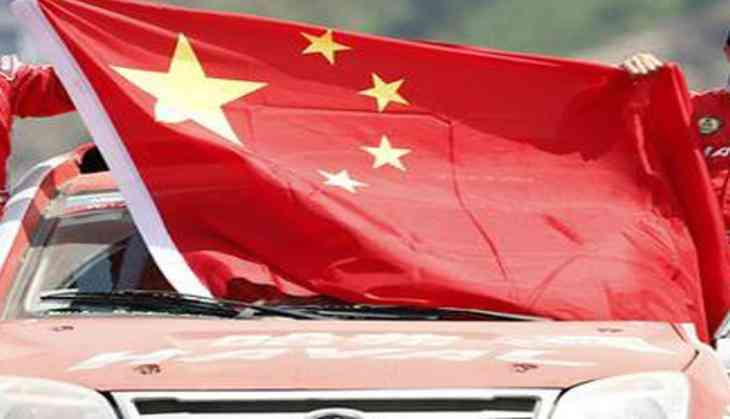 With India-China stand-off at Doklam, near the Sikkim-Tibet-Bhutan tri-junction, still continuing, Chinese Australians, in their flashy supercars, organized a car rally in Sydney, Australia, to protest against India on its 71st Independence Day. Chinese Australians deliberately chose India's Independence Day for the protests. The car rally reportedly passed through Chinatown, Martin Place, Sydney Opera House, the Art Gallery of NSW, before arriving at their ultimate destination - the Consulate General of India in Sydney. The Chinese flag was pasted on most of the cars. Stickers with slogans such as "Borderline is our baseline;" "China: Not even a bit can be left behind;" and, "Anyone who offends China will be killed no matter how far the target is," were also featured, local news reports said. Benntleys, Lamborghinis, BMW, AUDI and Maseratis were among the 10 luxury cars that joined the parade across Sydney and the drivers revved their engines loudly outside the Consulate General of India in Sydney to protest against India. Meanwhile, as the Doklam stand-off is approaching its second month, the China's Foreign Ministry has reiterated that the People's Liberation Army (PLA) troops would continue to defend Dong Lang, which is Chinese territory, and India should withdraw all its troops and equipment from there. The stand-off began when China started constructing a road in the area. India objected to the road construction after the Chinese troops ignored Bhutanese protests, triggering the faceoff from 16 June. External Affairs Minister Sushma Swaraj has reiterated that India's road map is peace and talks are going on to resolve the issue diplomatically. India has made its stance clear that it stands for peace the border question can be solved diplomatically, not by war.